Finally managed to make it back out to the site today. Took bags for garbage and comestibles for the offering. When we reached the area along the trail where I had left the last offering (and where I had found the deer bones), I spent a few moments in prayer, thanking the spirits there — the forest itself, the dead tree at the center of the site, the coyotes, and the deer that had died — for the gift of the bones on my last visit. 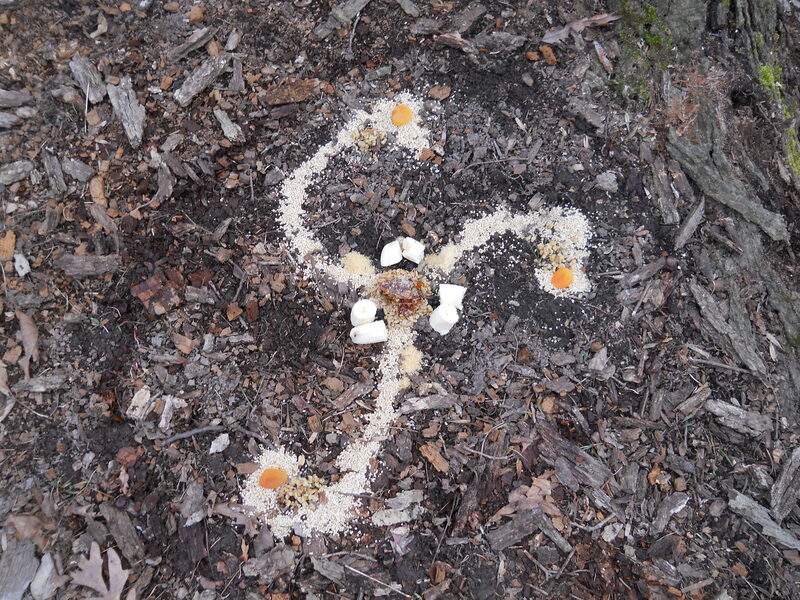 Somewhat uneven offering to the nature spirits. Steel-cut oats, banana, dried apricots, dried blueberries, wine, turbinado sugar, sunflower seed kernels, chopped walnuts, honey in the comb. The dark circle around the edge is where I poured out the wine. 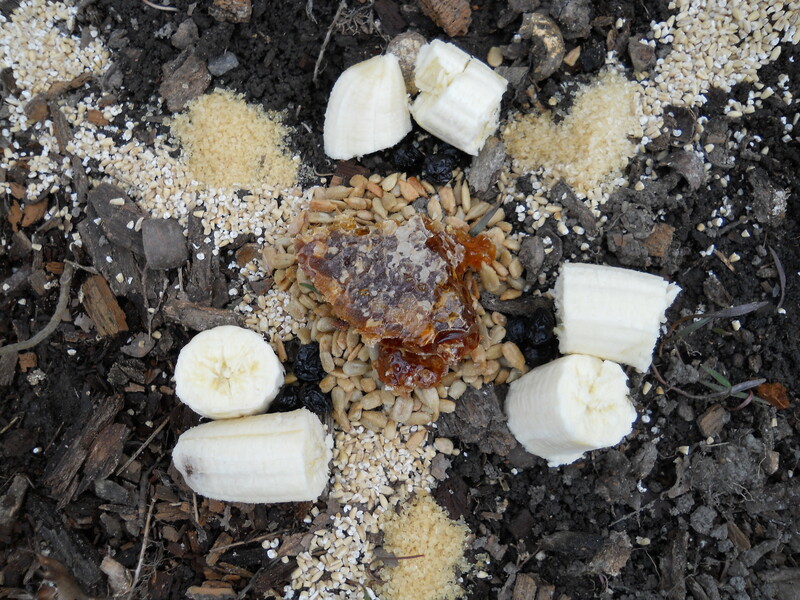 Honey in the comb atop sunflower seed kernels; the three "arms" of the triskele made of steel-cut oats; banana pieces next to blueberries (three per "arm"); three mounds of turbinado golden sugar by the arms. At the end of each "arm": a piece of dried apricot and a mound of chopped walnuts. 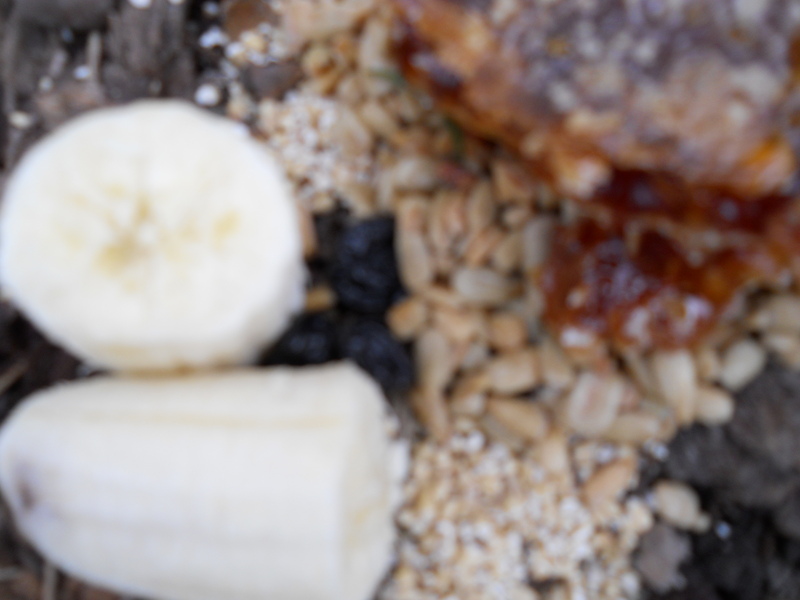 Banana and close-up of dried blueberries (three); honey in the comb atop sunflower seed kernels and steel-cut oats. 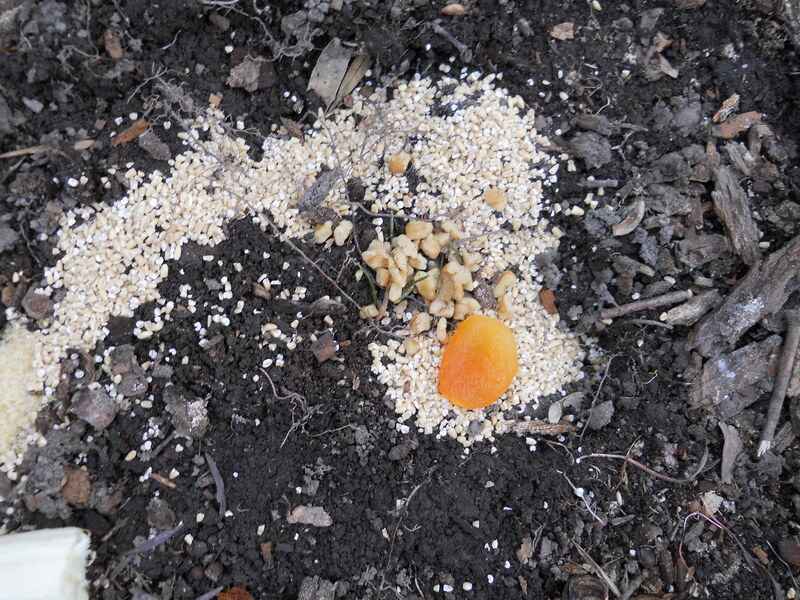 After laying out the offering, I began to search again, carefully shifting aside piles of last fall’s leaves. We’d arrived much earlier in the day (around 2 PM) and I had more time and more daylight with which to work. It also hadn’t rained again since our last visit, so things weren’t as boggy as before. 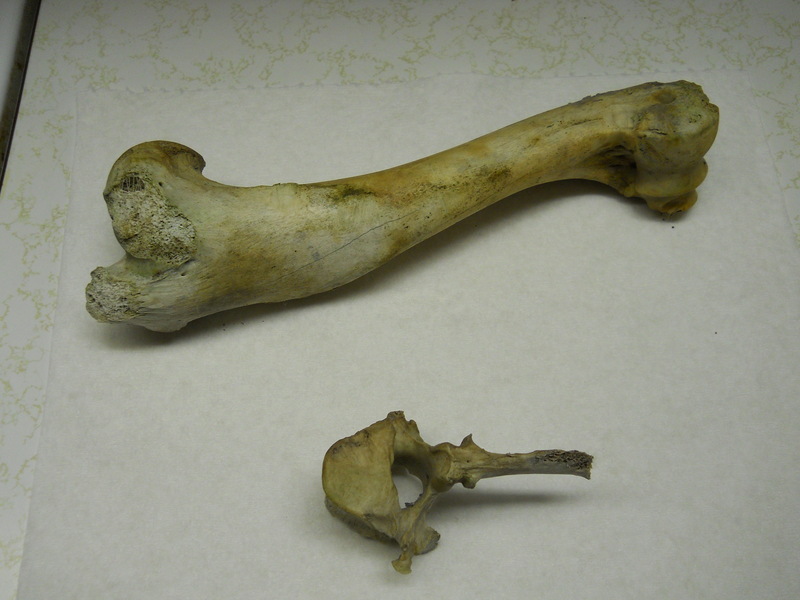 I found two more pieces from the deer, another vertebra and another leg bone. I found a fair bit of garbage while I was out there, and picked up everything I could find. It’s worth noting that this part of the world is definitely caught in an early Spring: the maple and willow trees are budding, and there are already tiny new leaves on the multiflora roses in the woods. 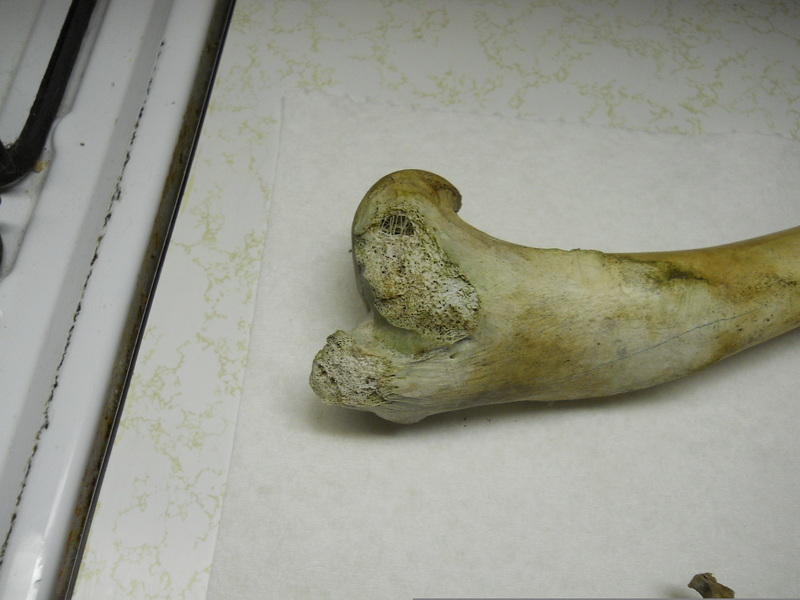 I have some deer bones which I found camping a few years ago. After thanking the spirits and the gods, I gathered them up and stored them in my work chest. I don’t know how to process them. Are you willing to share what you do? Thanks! First thing I do is scrub them clean of any remaining dead flesh, mud, leaf litter, dirt, etc. with a soft-bristle brush and mild soap and warm (not hot) water. Once they’ve dried, you’ll probably want to bleach them. Don’t use actual bleach for this; if there’s any remaining fat, marrow, etc inside the bones, it’ll dissolve it and the material will permanently stain the bones, leaving them with a greasy sheen. Instead, I use hydrogen peroxide, a mild solution (standard over the counter strength is fine) and completely immerse them in a bucket full, in a place where no pets, babies, other animals will get into it and where any odors won’t be a problem. (If you’re in a place where it’s warm enough to do it outdoors, that works, so long as insects, animals, etc. can’t get into the bucket.) 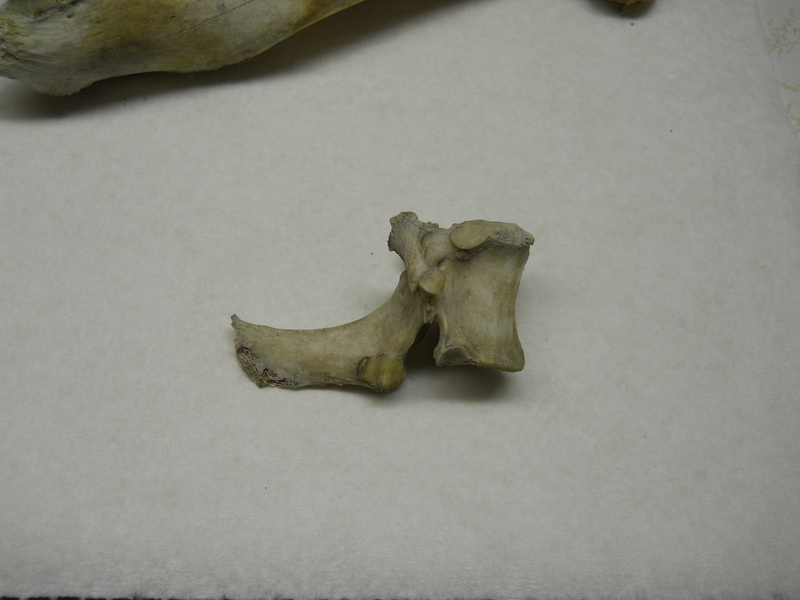 Check the bones every day to see how they’re doing; small, delicate bones can begin to dissolve if they’re left in too long (they’ll start developing a faint bluish tint if this happens). 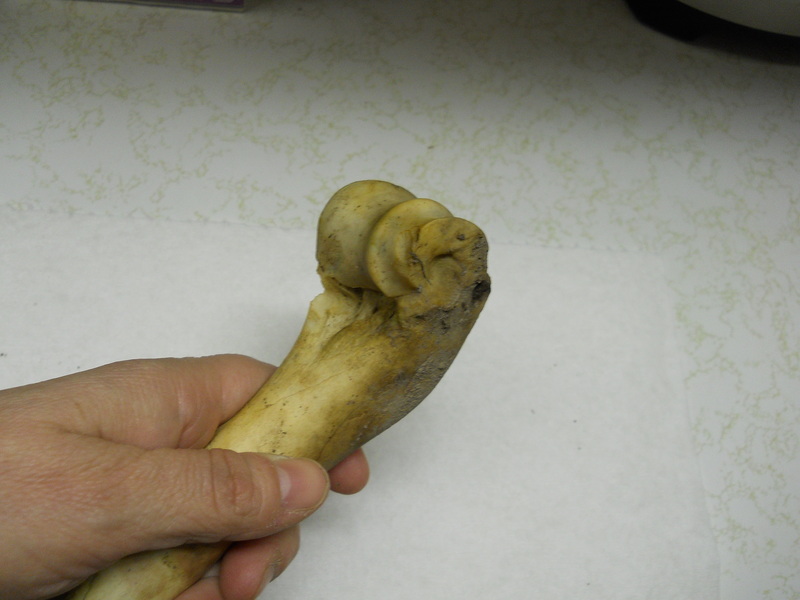 When the bones have reached the clean shiny whiteness you want, remove them, rinse them off, then let them dry. 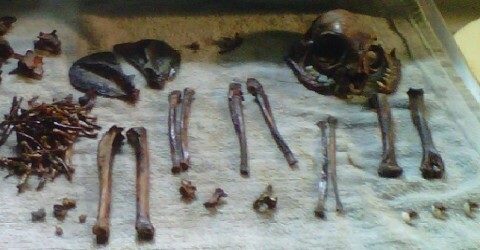 After that, some people color the bones red as a ritual way of “reclothing” them in spiritual flesh. This can be done with a paste of wine and red ochre, or rust; I know someone who did it with red fingernail polish, although I really wouldn’t recommend this (two reasons: I don’t know how that would interact with any remaining traces of hydrogen peroxide, and spiritually, I couldn’t recommend permanently covering them in poisonous chemicals. At least the hydrogen peroxide gets rinsed off). So far, I haven’t reddened these bones (or any others I have, although the only ones I’ve finished cleaning were the ones in my banner at the top of the blog, the skeleton of a cat I found; those are how I found out that too much hydrogen peroxide exposure can damage the bones, and I don’t know that reddening them wouldn’t harm them further). When you’re done, find somewhere nice to contain them; atop an altar is good, or inside a nice box (if you have a nice wooden box that you can line with a soft cloth, maybe strew in some herbs of the sort a deer would eat in life — the same sort of funerary arrangements many cultures make to honor the spirit and make it comfortable here — that would be lovely. Other ritual arrangements are up to you, however your practices work: smudging or incense, candles, etc. Eh, I mean, “squirrel”. pardon me.